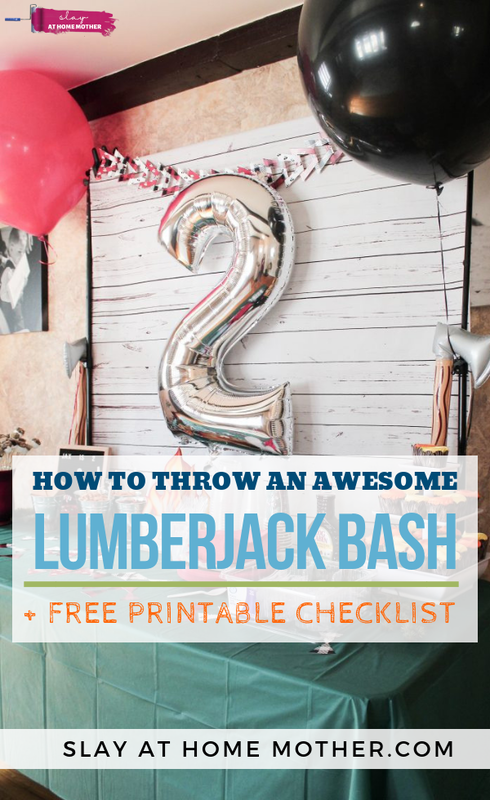 Throwing your own Lumberjack Bash? 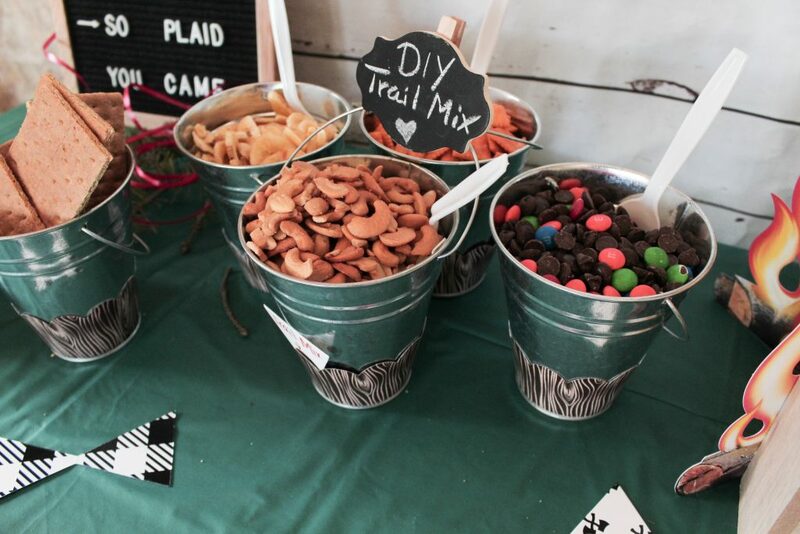 Here are some great ideas for your little lumberjack’s party, including food, decorations, and an activity to do! 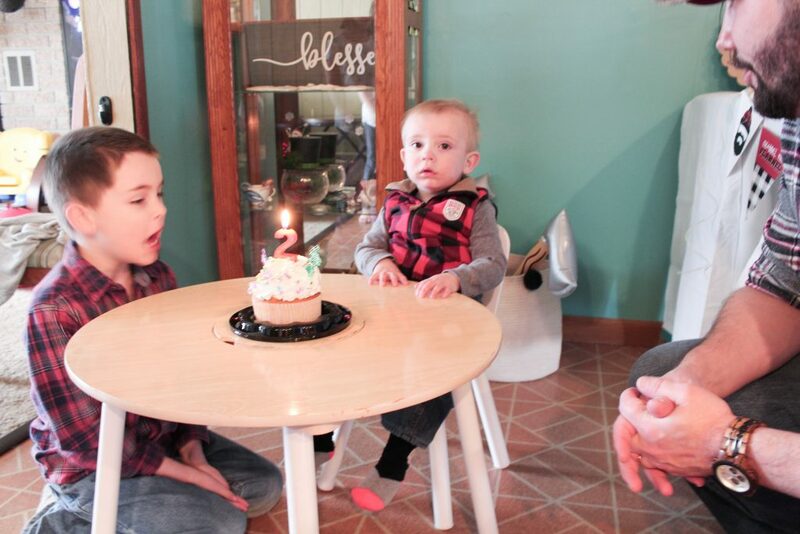 My little man is TWO! 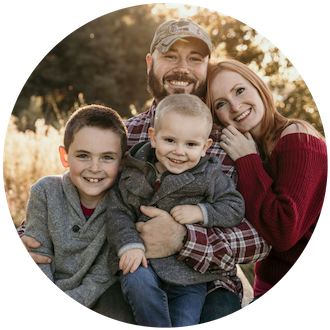 Since he was born, we knew Jax would be nothing like our first son, Max. Nothing came as easily with Jax as it did with Max, and his personality was the polar opposite from his brother. 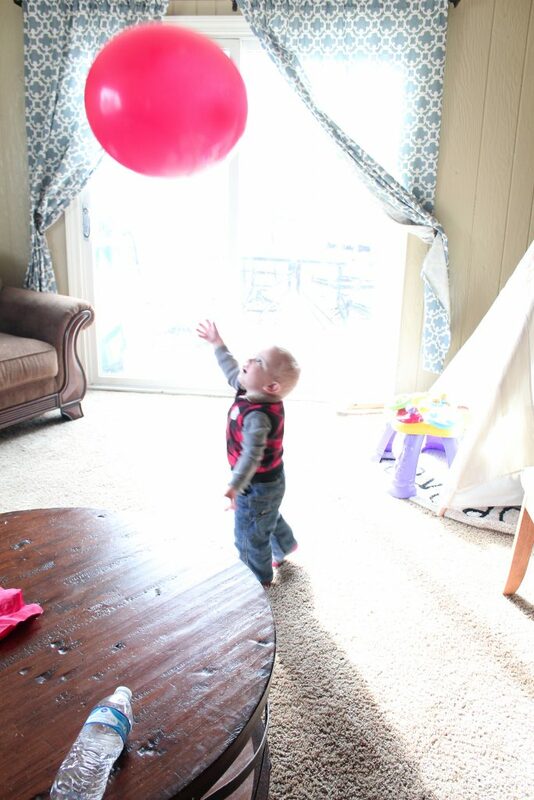 While our oldest was sweet, quiet, and sensitive, Jax was loud, adventurous, and dared to push every limit. But, we learned to roll with the punches and are incredibly grateful to have two amazing and different little men in our house! 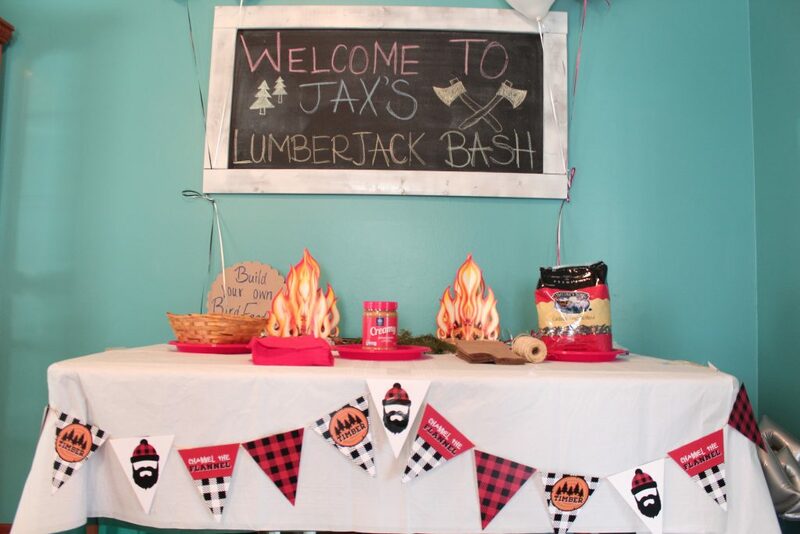 Now that our little guy is two, we decided to throw him a Lumberjack themed party! 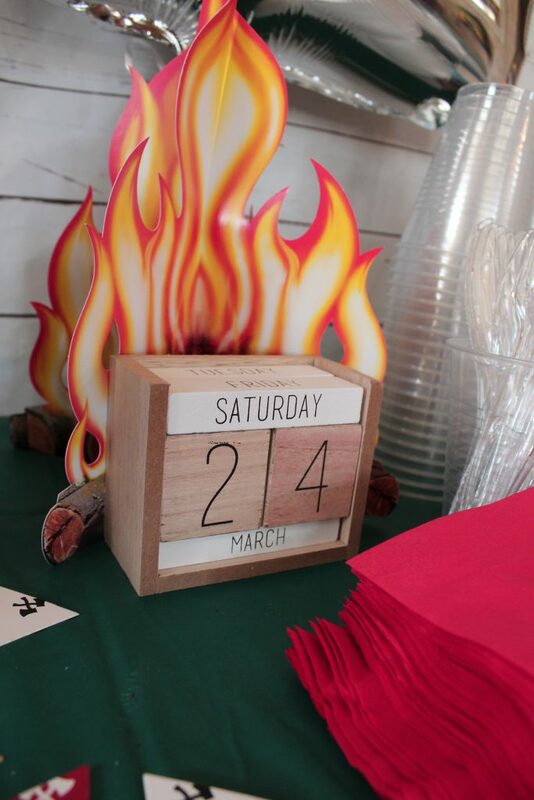 Luckily for us, Jax’s birthday fell on a Saturday – perfect for a party! 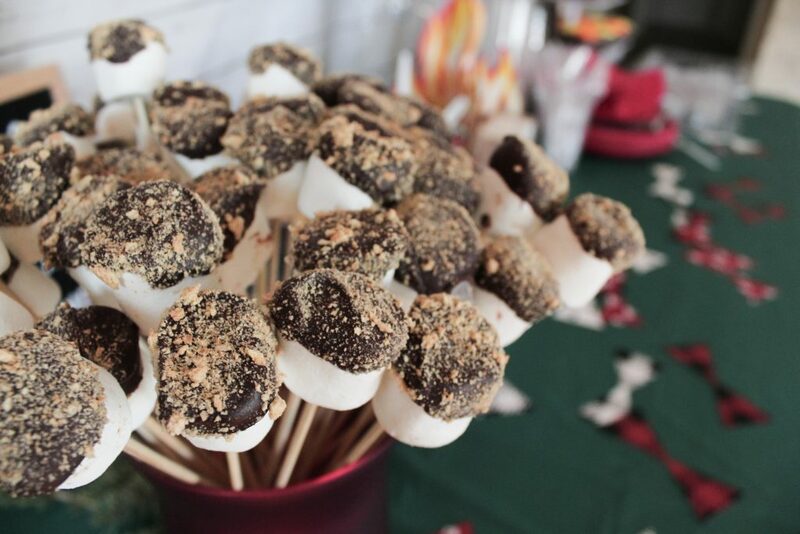 I made our own little version of s’mores with chocolate dipped marshmallows sprinkled with crumbled graham crackers. Originally, I wanted white frosted cupcakes! 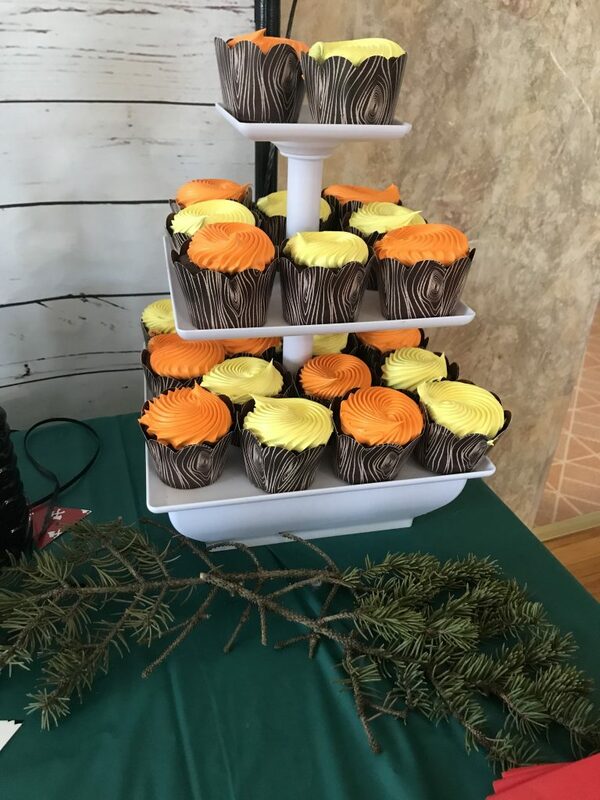 I was convinced that that’s what would look best with my wood grain cupcake wrappers and sent Chris out to grab them the day of the party. But to my surprise, our options were either green and blue, or yellow and orange. I thought about it for a minute, and decided that the yellow and orange were perfect because it would look a little bit like fire! 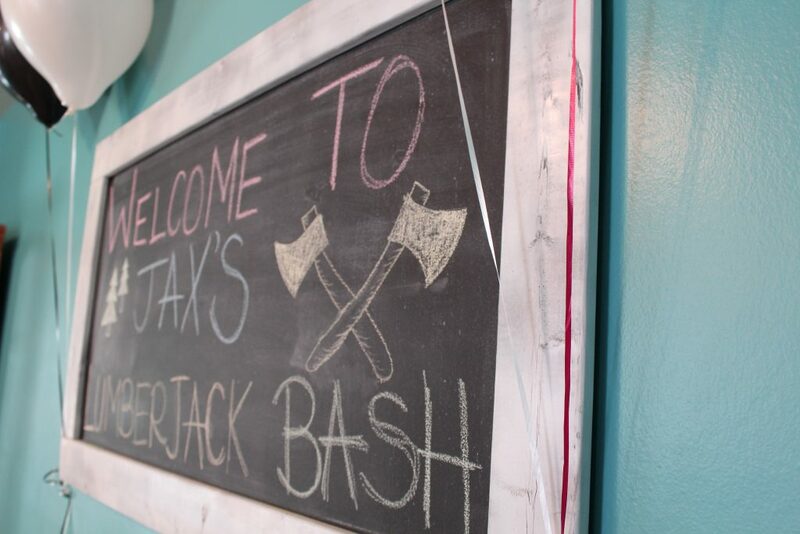 It ended up being the perfect choice for Jax’s party. 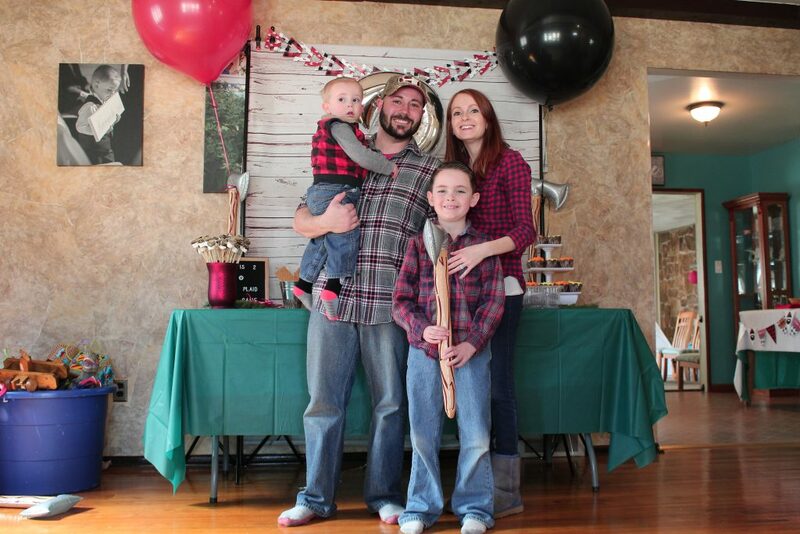 Here’s our beautiful family of four, donned in plaid for the party! 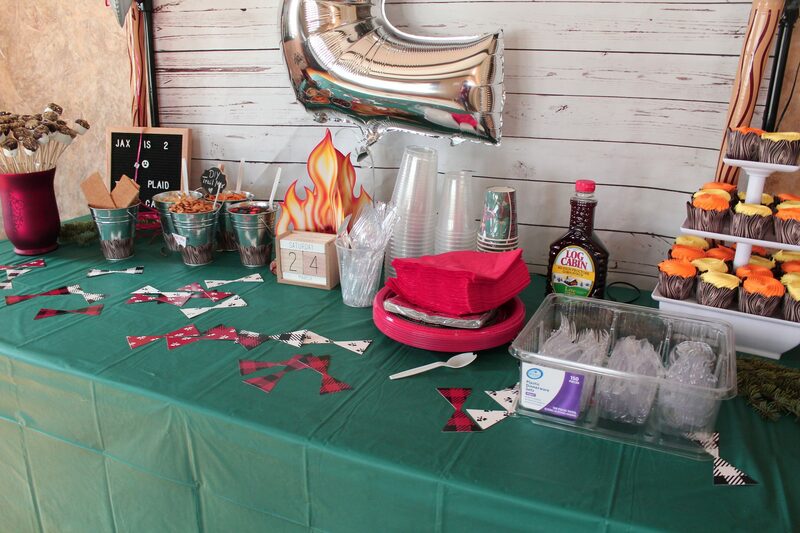 For the decor on this table, we used 3D Campfire Centerpieces and this cute banner that was part of a 72 piece Lumberjack party set. 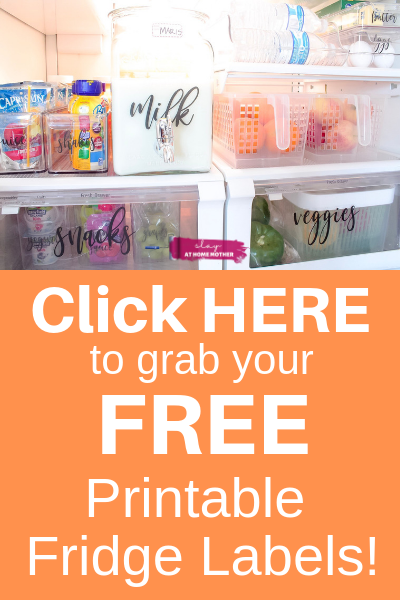 My magnetic chalkboard is my absolute favorite kitchen accessory – it is the epicenter of our home, and goes perfectly with our kitchen (and this party decor! ), wouldn’t you say? It’s also magnetic, which is great! 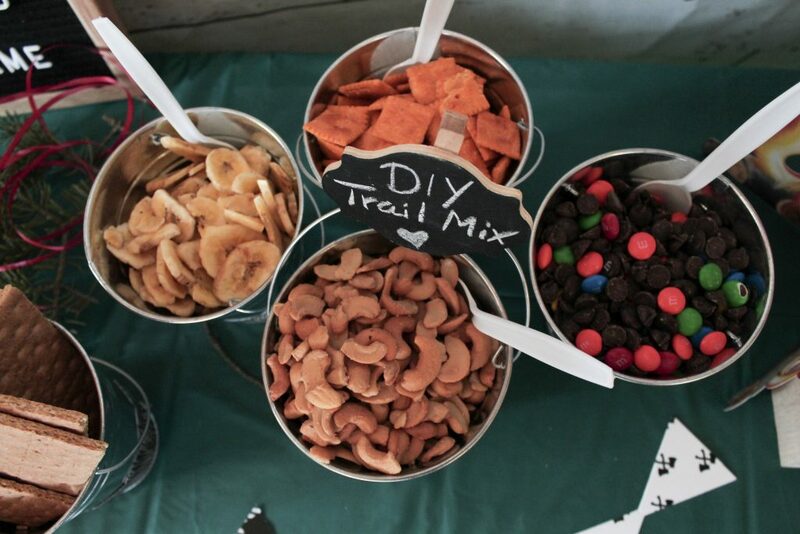 If I could have found some lumberjack or axe magnets you better believe they’d be up there. 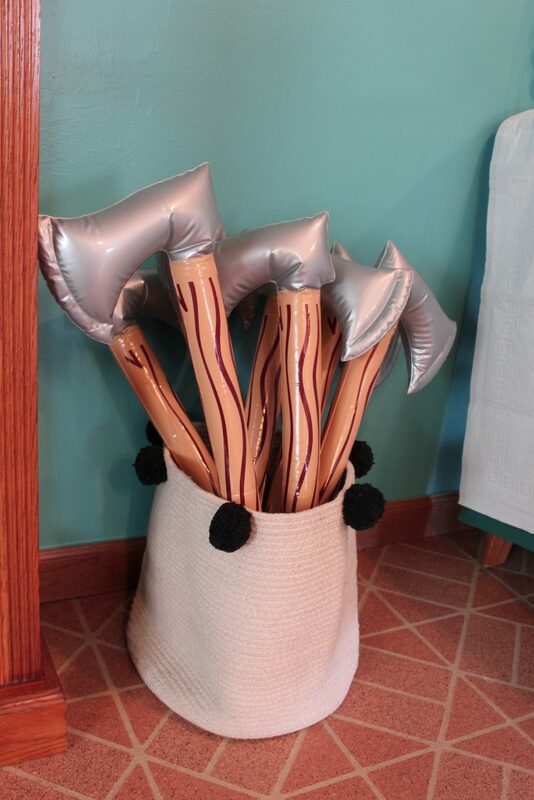 These inflatable axes just stole my heart away when I first saw them! 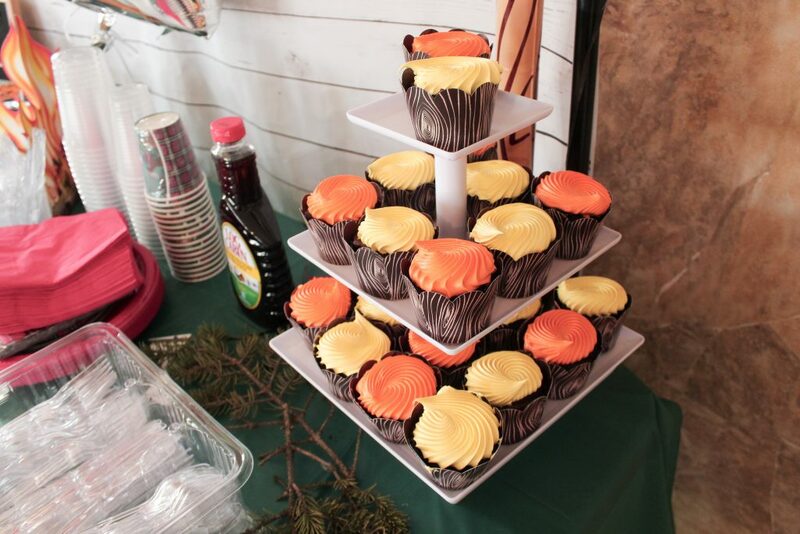 They were also part of our party favors, and also made great accents for our party decor. 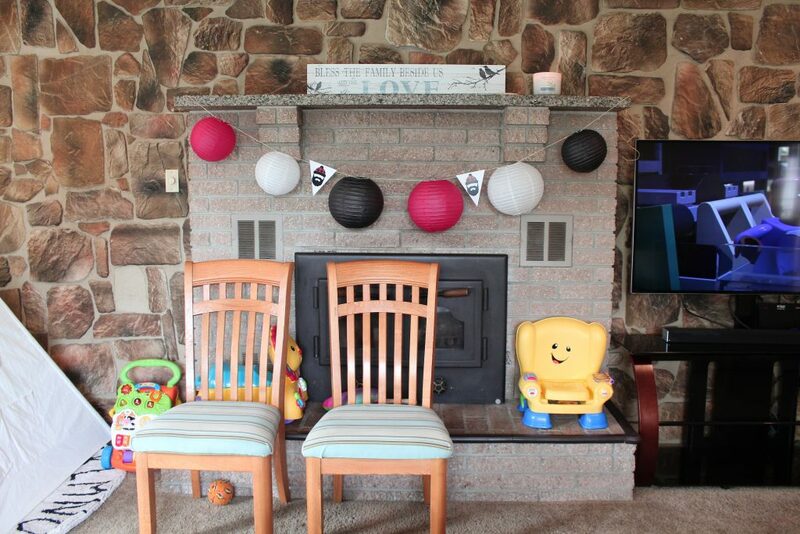 Our Chinese Lanterns were strung along our granite mantle in the living room, and I attached some extra bearded triangles from our party set to the piece of twine I used to hang the lanterns. 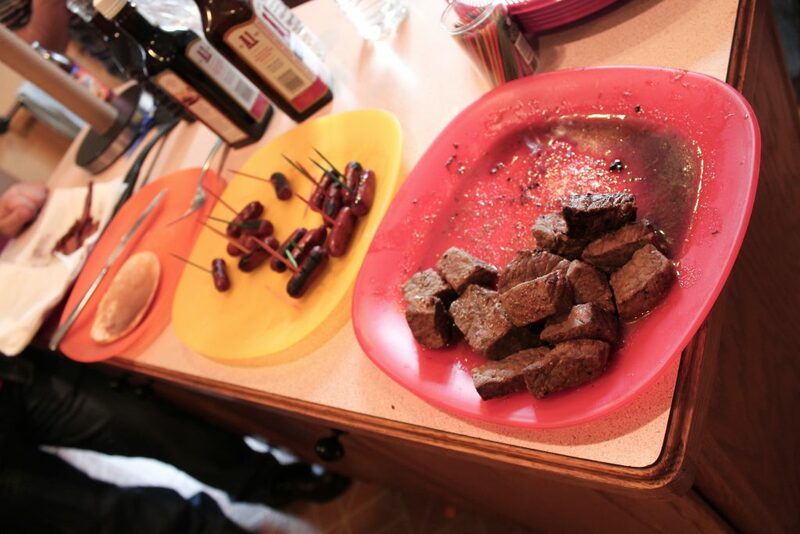 For our party food, Chris handled the cooking and prepared some steak, little smokies, oven baked bacon, and flapjacks! 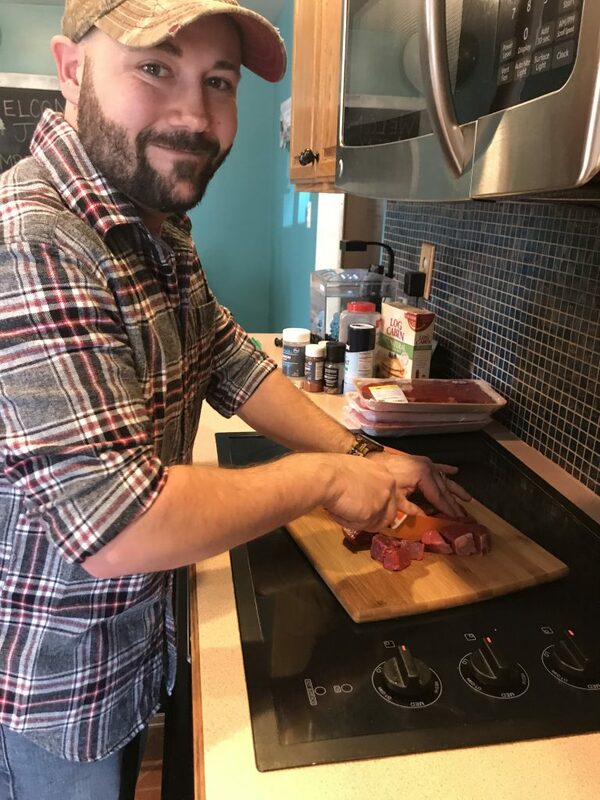 And let me tell you – the food did not disappoint! If you’ve never tried bacon from the oven, you really need to! It will change the way you eat bacon forever ;). While smash cakes are usually great for first birthdays (and both boys had one for their 1st), Chris grabbed one for Jax this year as well. He loved it! There’s nothing cuter than my little guy in overalls! 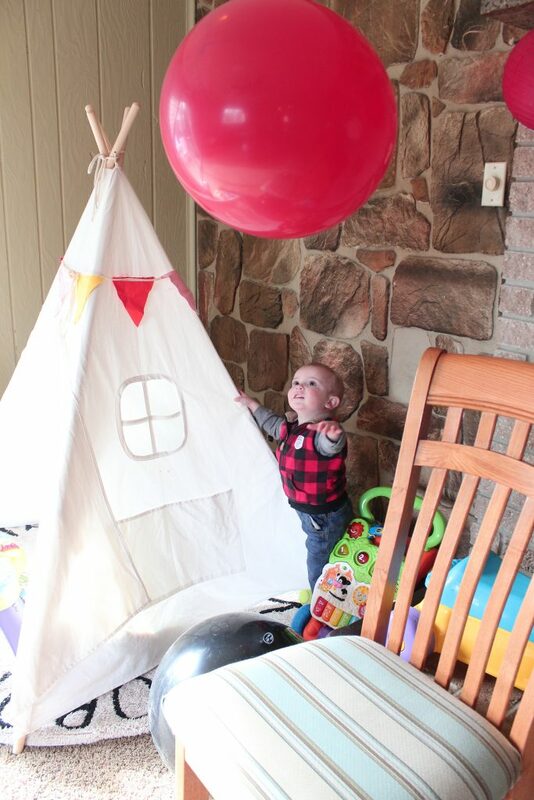 Giant balloons kept the kids all occupied while we prepared the food – Jax loved bouncing them up into the air to watch them fall back down. 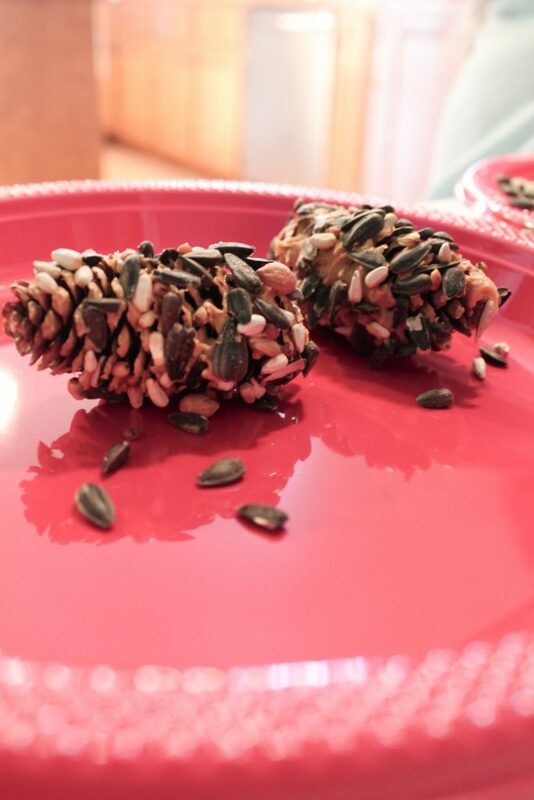 For our Bird Feeders, Max and I went outside to our front yard to collect some of our baby pinecones. 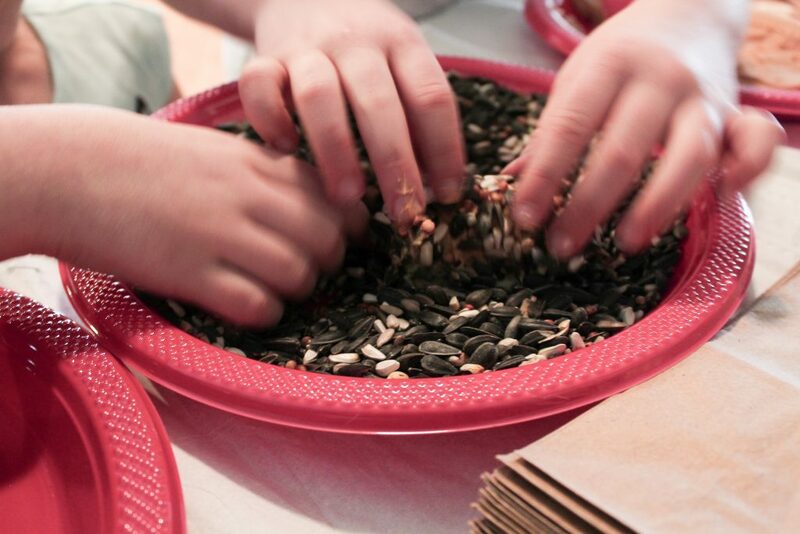 There’s always plenty to pick from, and Max loved helping out with the project. 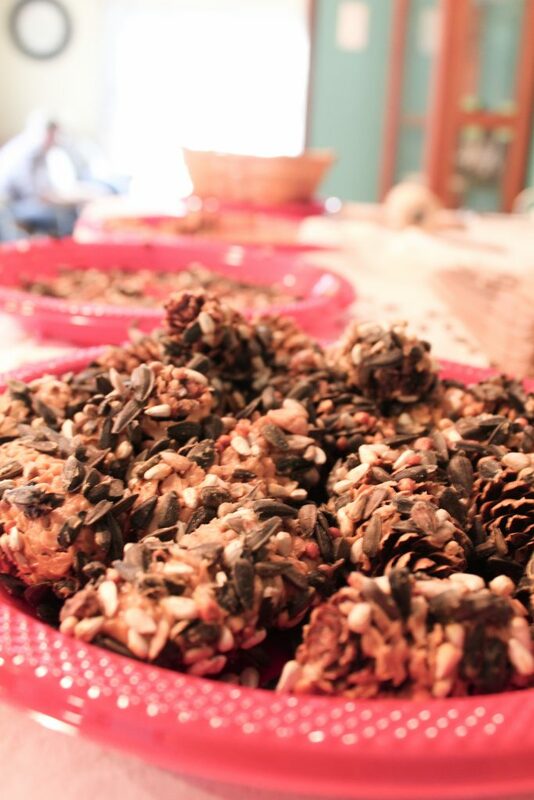 The kids got to pick their pinecones, roll them in peanut butter, and then roll them again in bird seed. Since we have a ton of Cardinals in our area, I grabbed the birdseed that is supposed to attract them. 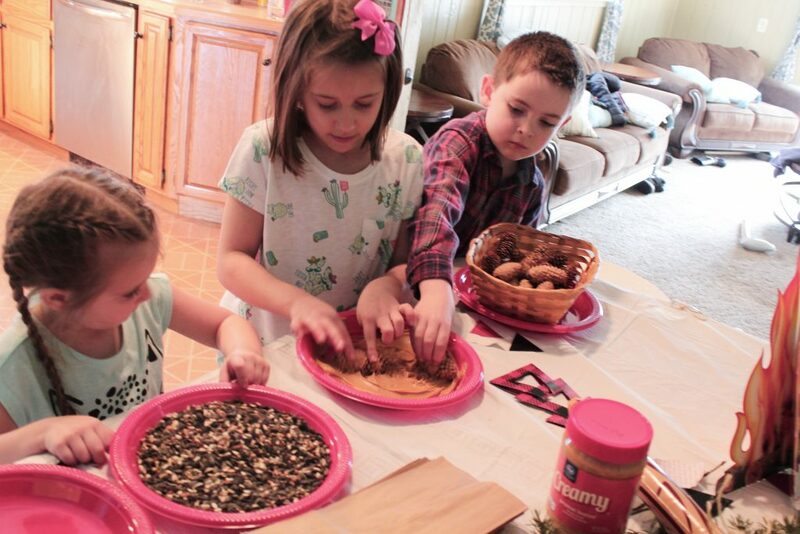 The kids made an entire plate full of DIY Bird Feeders! 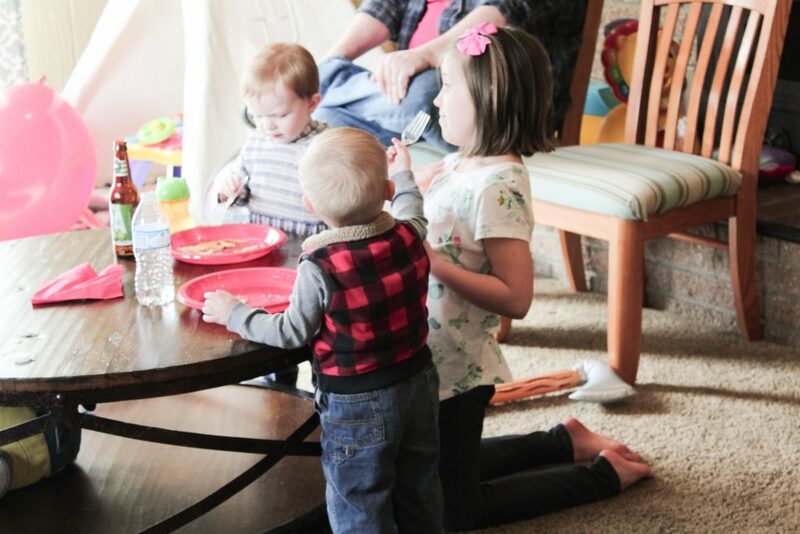 We had so much fun at Jax’s party, and loved having all of our family and friends out to enjoy his second birthday with us! 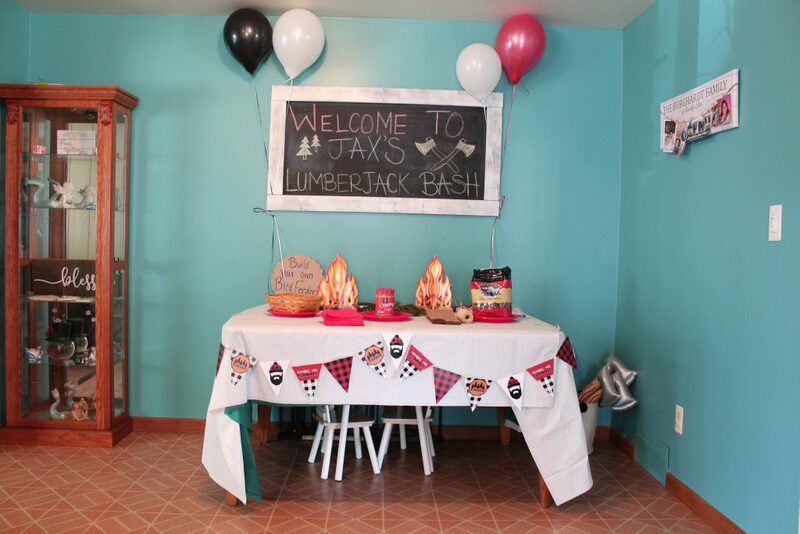 I think this might be my fav birthday party theme ever! 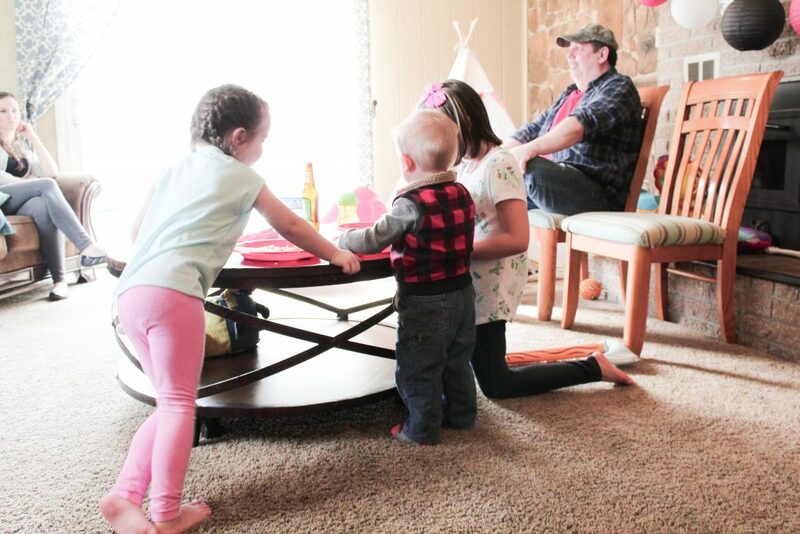 I have a brand new baby boy and after endless girl parties (I have 3 girls!) 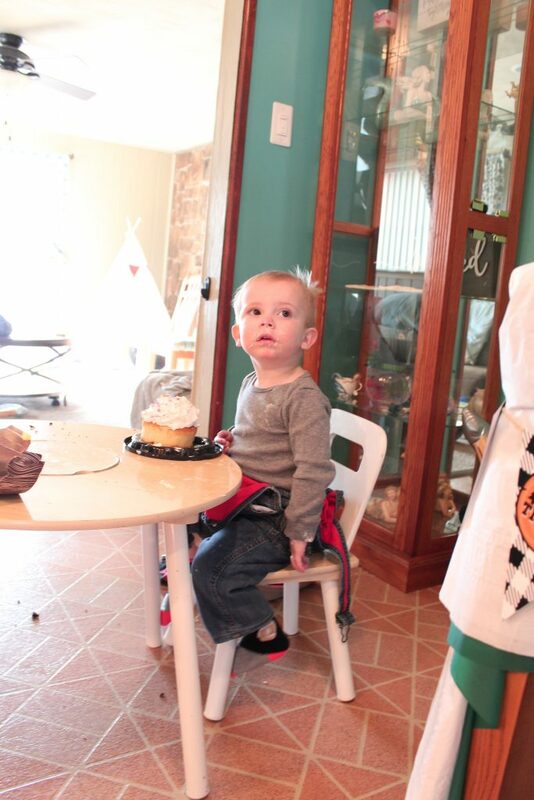 I can’t wait to throw a birthday party for him! 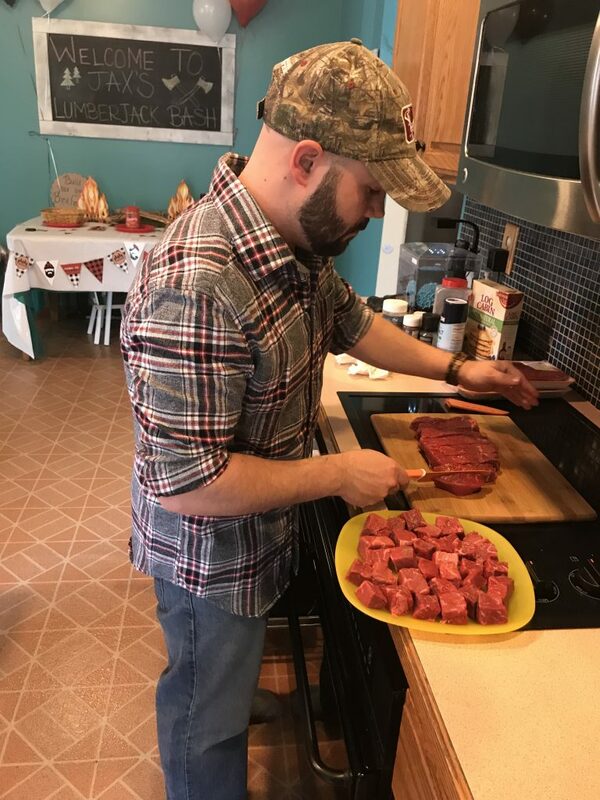 Plus, buffalo plaid is absolutely my favorite! Thank you! I never knew oven baked bacon was that delicious, but it really is! Omg! I love this theme. How adorable! 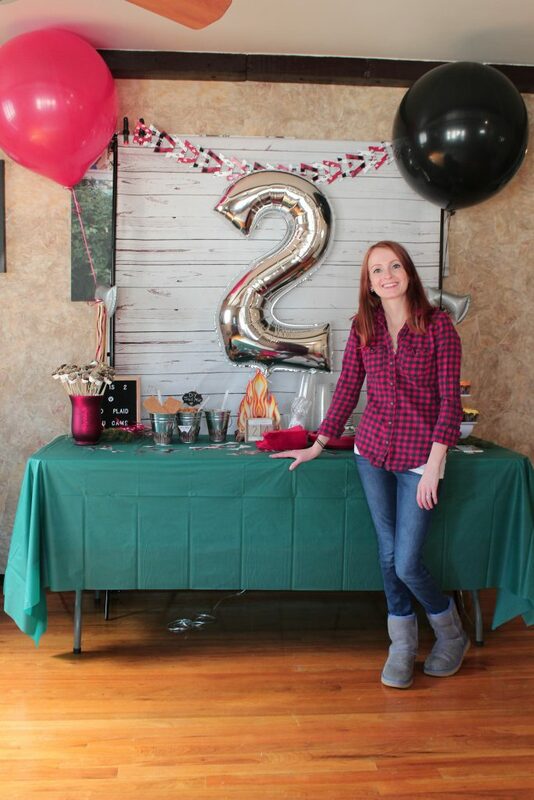 I love this theme, all the little details like the balloons are the cutest! This is such a cute theme. 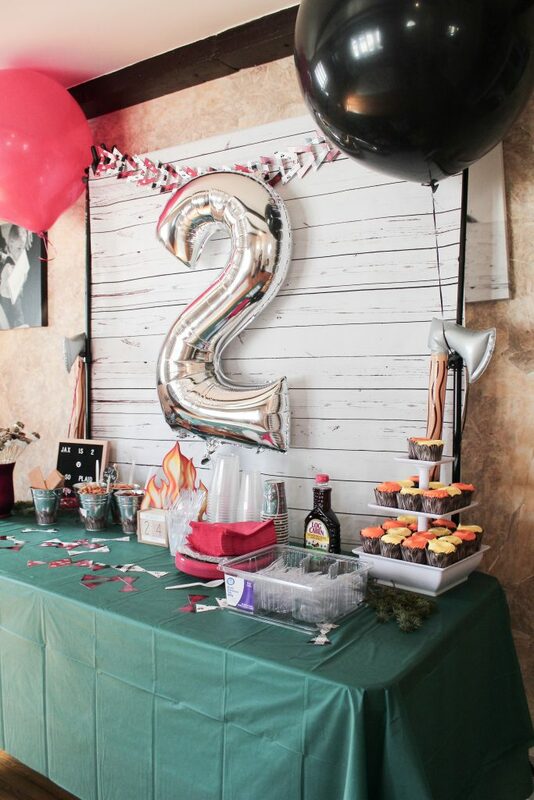 I wish we did something bigger for my son’s second birthday. AWWW I love this theme! It’s so perfect and the pun with his name is my favorite! You did a fantastic job! 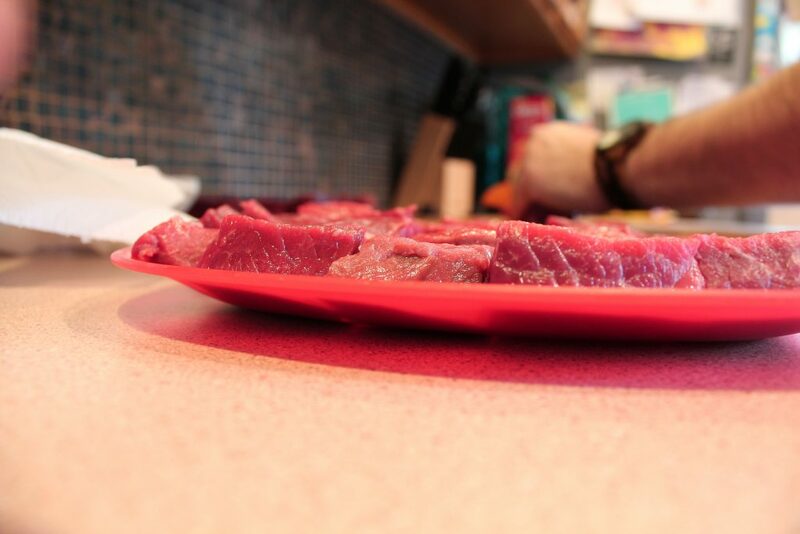 And ummm….flap jacks YES PLEASE!!!!!! Great job Corinne!